The first “big” trip our family ever took together was visiting Laie Hawaii for our parents 20th anniversary. It has always held such a special place in my heart! There are so many memories we still reminisce about today from that family vacation. Kendra and I recently had the opportunity to go back on our “sister trip” and the whole time were wishing we had our whole family there to join in on the fun! If your family wants to join in on the fun too, be sure to check out how you can win a FREE trip for your family to the Polynesian Cultural Center, and Laie Hawaii HERE. There are SO many amazing things to do while visiting Hawaii, and the island of Oahu. We would definitely recommend spending a few days in Laie and catching all of the amazing opportunities it holds. We know there is not always a lot time while traveling, so we decided to share the 5 “must do’s” while visiting Laie! Polynesian Cultural Center- This should definitely be first on your list for a lot of reasons. The food, the different experiences of each culture, and all of the fun activities offered for kids. 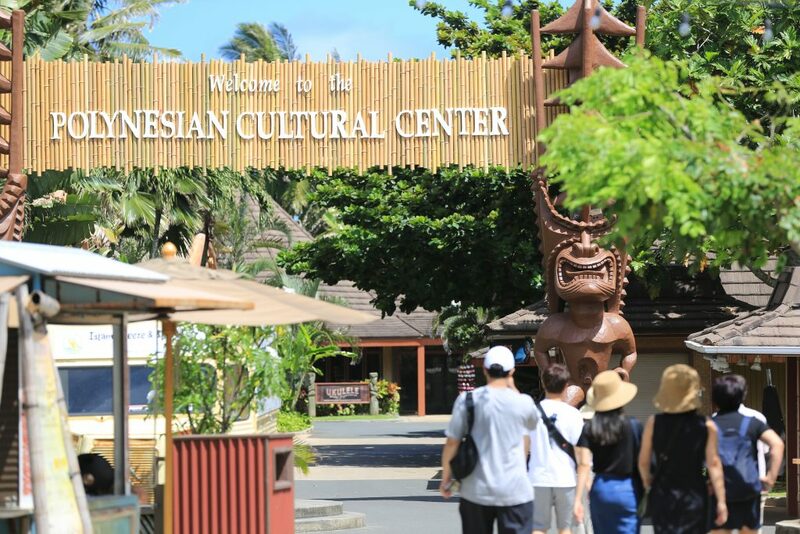 Check out our post “Why You Should Take Your Family to the Polynesian Cultural Center” to see everything it has to offer! 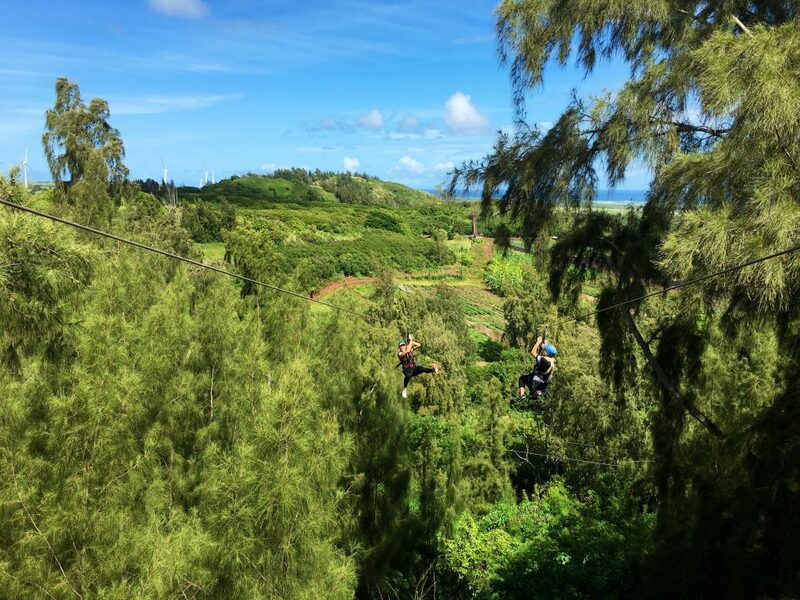 Keana Farms Northshore Zipline- This is perfect if you have any adventurous or nature loving members of your family. 3 hours of ziplining through the beautiful Keana Farms. 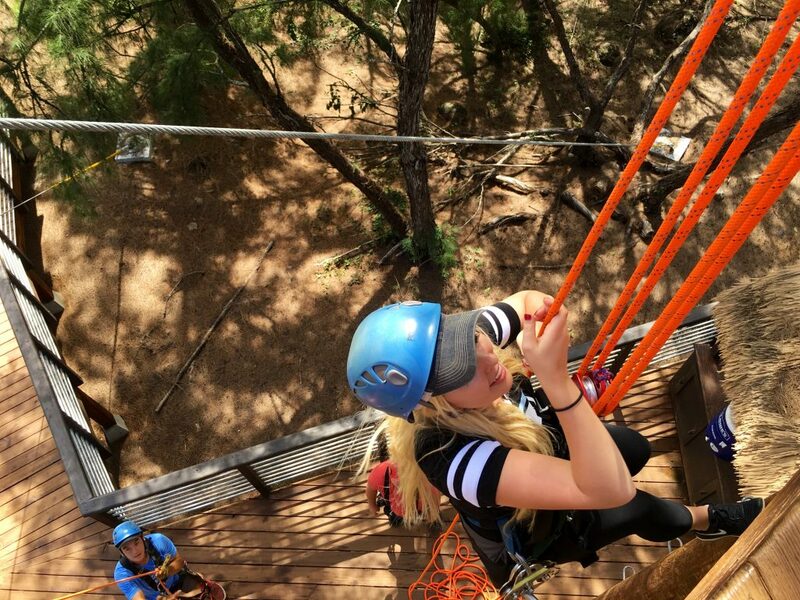 The guides are amazing and despite my extreme fear of heights, I felt completely safe the whole entire time. At each stop you get to eat a sample of fresh food straight from the farm including tomatoes, apple bananas, and macadamia nuts. This is sure to be a hit with the whole family! 3. 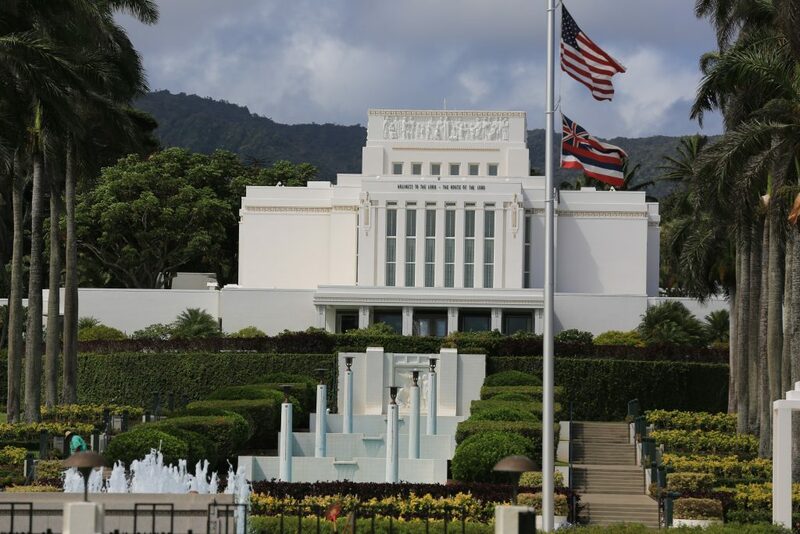 Laie LDS Temple and Visitors Center- It’s pretty hard to miss the beautiful Latter Day Saint Temple as you are driving through Laie. We stopped in for a quick visit and got a tour of the grounds. It is so well kept and so peaceful there. The visitors center has an open door policy with tours and information. You’ll definitely want to see this beautiful land mark! To learn more about temples, you can see what we believe on LDS.org. 4. 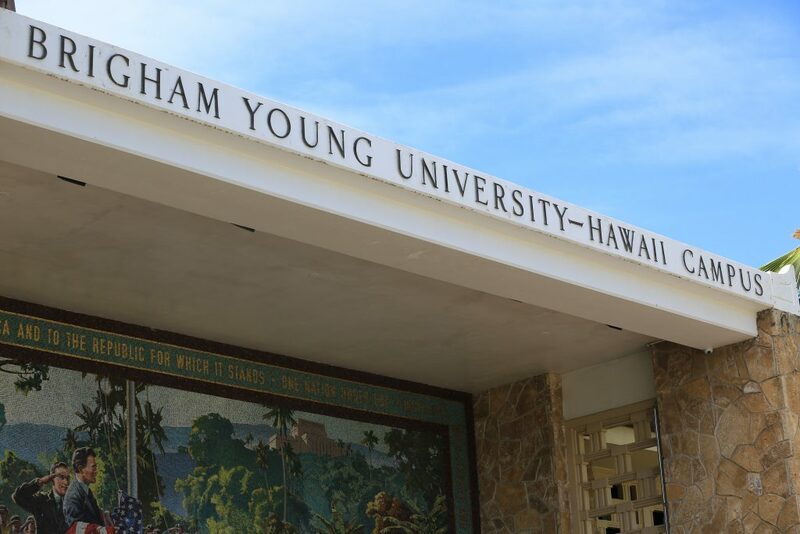 Brigham Young University Hawaii- This might not seem like a tourist attraction, but it’s definitely a great place to stop! This campus is absolutely beautiful and so much fun. Stop in the campus store to buy some cute BYU Hawaii attire, eat some of the great food, and see what culture is like in the life of a student by taking a tour of campus. 5. 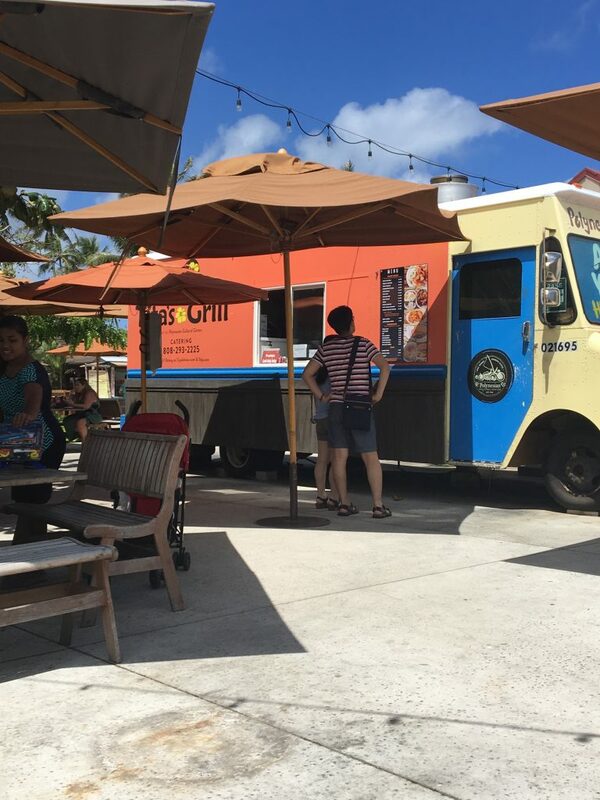 Food Destinations- There are tons of great places to eat while in Laie! 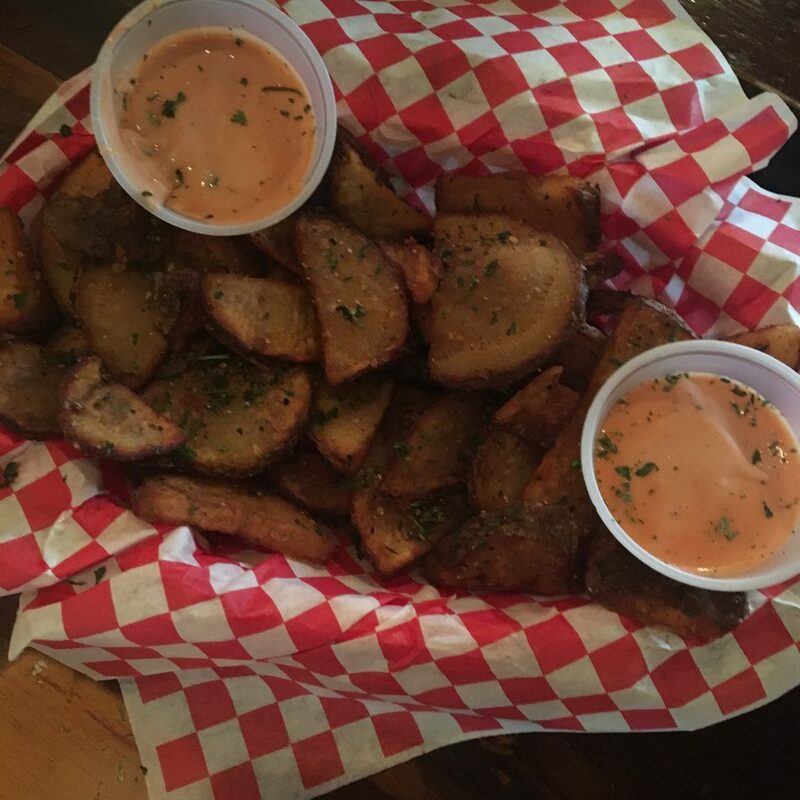 From tourist favorites to local favorites, you won’t go hungry while passing through town. Here are a few of the places we’d recommend! Angel’s Ice Cream- Made famous once Michelle Obama made it her go-to ice cream place in Hawaii. We’d recommend the ice cream filled snow cones! Giovanni’s Food Truck- Their coconut shrimp is a MUST TRY. You might want to eat this the first day so you can have time to come back a few times more. It’s that good!